Italian tenor Luciano Pavarotti (1935–2007) was one of the greatest tenors of the 20th century. 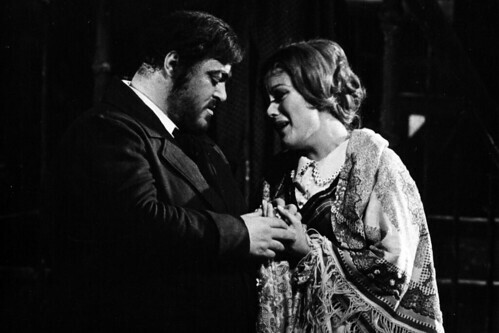 He made his debut with the Covent Garden Opera Company (later The Royal Opera) early on in his career in 1963 as Rodolfo (La bohème), and later returned to sing Alfredo (La traviata), Elvino (La sonnambula), Tonio (La Fille du régiment), Duke of Mantua (Rigoletto), Edgardo (Lucia di Lammermoor), Cavaradossi (Tosca), Rodolfo (Luisa Miller), Radames (Aida), Nemorino (L’elisir d’amore) and Gustavus III (Un ballo in maschera). 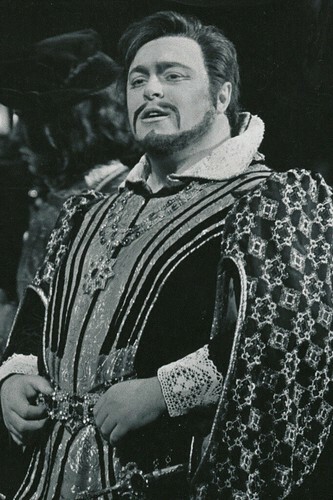 He made his final appearance with The Royal Opera in 2002 as Cavaradossi. 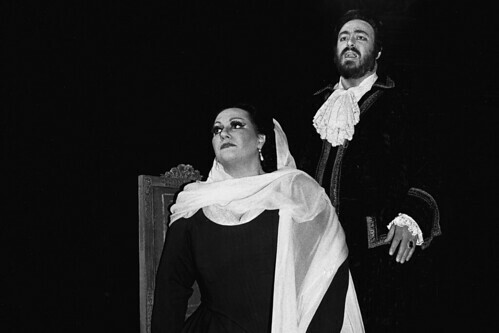 Pavarotti was born in Modena and studied there with Arrigo Pola and in Mantua with Ettore Campogalliani. 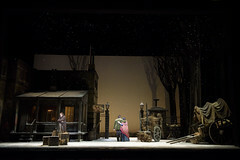 He made his professional debut in 1961 as Rodolfo (La bohème) at Reggio nell-Emilia. 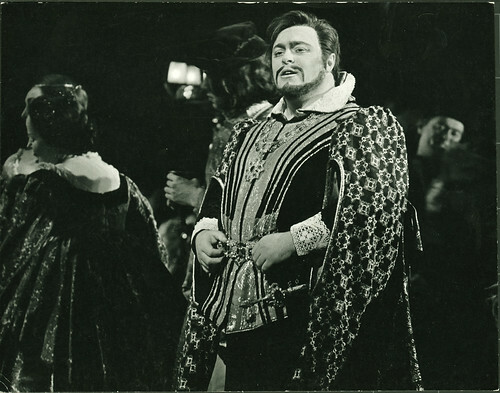 He went on to sing regularly with companies including La Scala, Milan, the Metropolitan Opera, New York, Glyndebourne Festival and with the Sutherland-Williams company on tour in Australia. His repertory included Idomeneus, Tebaldo (I Capuleti e i Montecchi), Arturo (I puritani), Fernand (La favorite), Ernani, Manrico (Il trovatore), Des Grieux (Manon), Italian Singer (Der Rosenkavalier) and in Verdi’s Requiem. Pavarotti’s partnership with Plácido Domingo and José Carreras as the Three Tenors took opera to an unprecedented global audience. His extensive discography, with the Three Tenors, as an individual and as a teacher, remains a great testament to his free, powerful voice, his mastery of bel canto repertory and his generous personality. Over 41 years, all the greats – including Plácido Domingo, Kiri Te Kanawa and Luciano Pavarotti – have performed in John Copley’s classic production.